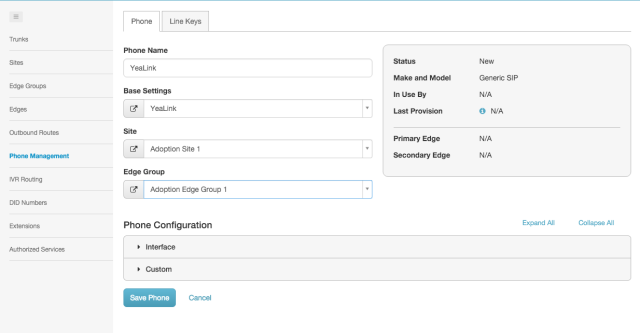 PureCloud supports Yealink phone models. However, it is important to keep in mind that Yealink phone models are NOT compatible with PureCloud Voice. The following procedures explain how to set up the phone and how to set up PureCloud to host the phone. 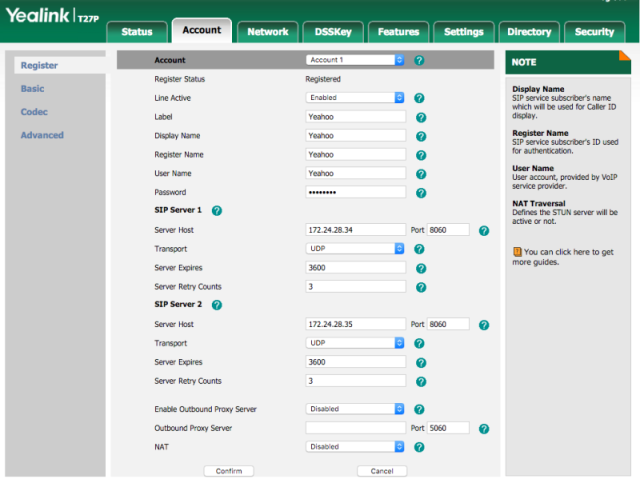 Refer to Yealink Documentation for your model of Yealink. Click Menu > Status on the Yealink phone. Click the Account tab at the top of the menu and the Register section on the left side of the page. Password = Leave blank. This value is not used. Click the Account tab at the top of the page and Codec Section on the left side of the page. On the Right side, select PCMU and use the up arrow. From the Phone Make and Model list, select Generic SIP Phone. 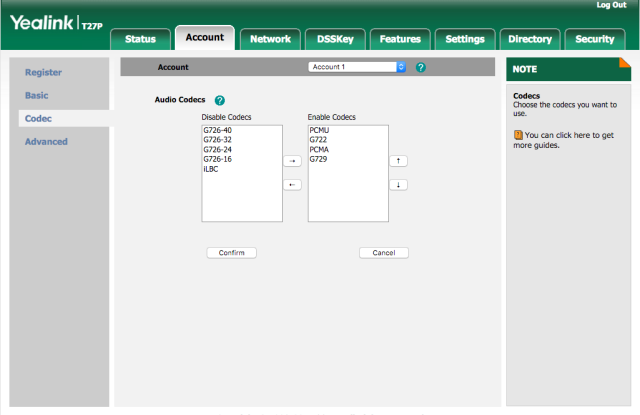 From the Base Settings list, select the Base Settings entry you created for the Yealink phone. From the Site list, select the Site for the phone. From the Edge Group list, select your Edge Group. Enable the phone for use by rebooting the Yealink.